Passionfruit are rather small. 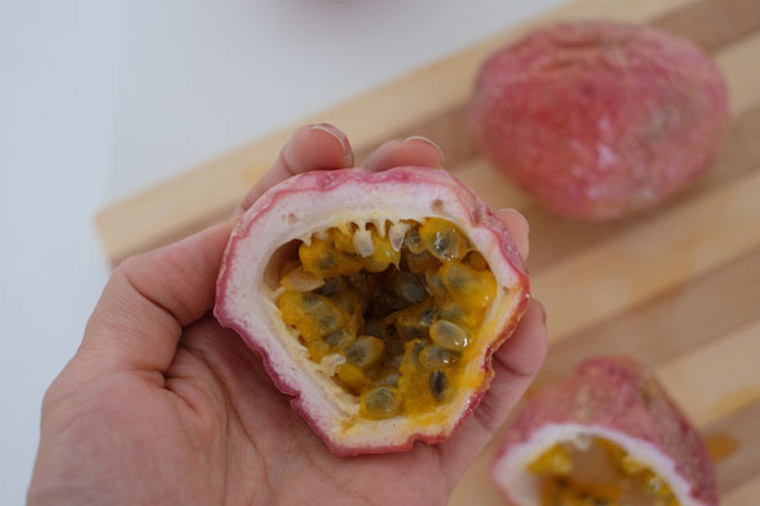 When cut open, it reveal only small amount of pulpy seeds. But despite its small size, the fruit is concentrated in flavour and too sour to eat it on its own. I love to make juices with it and top it on my yoghurt. You know it is ripe when the skin becomes wrinkly. 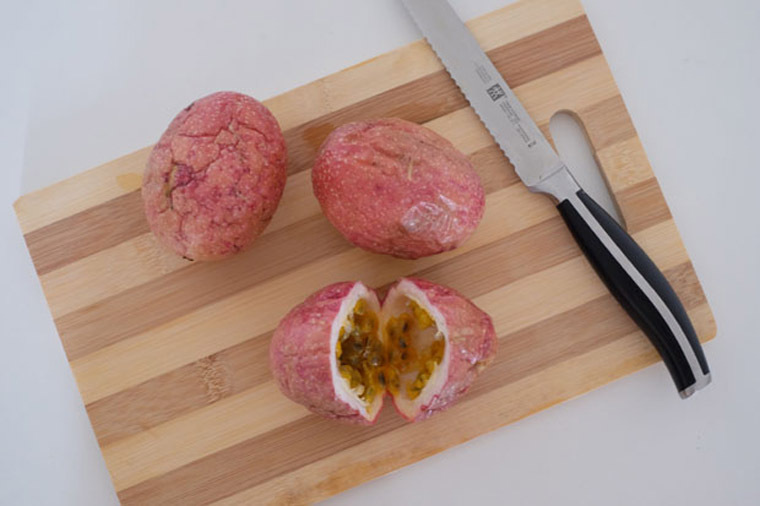 Cut passion fruit into half. Then scoop out pulp with a spoon.